The YouTube personality turned pop star discussed his creative work and social media presence. After watching a video of his younger self sing a cover of "Tell Me Why," Troye Sivan reflected that he was "never a cool kid when growing up." But countless Youtube and music videos later, he is amassing followers on social media, earning awards for his music, and drawing fans from all around the globe. His appearance on campus drew a line of eager and excited students, more than the venue could admit. 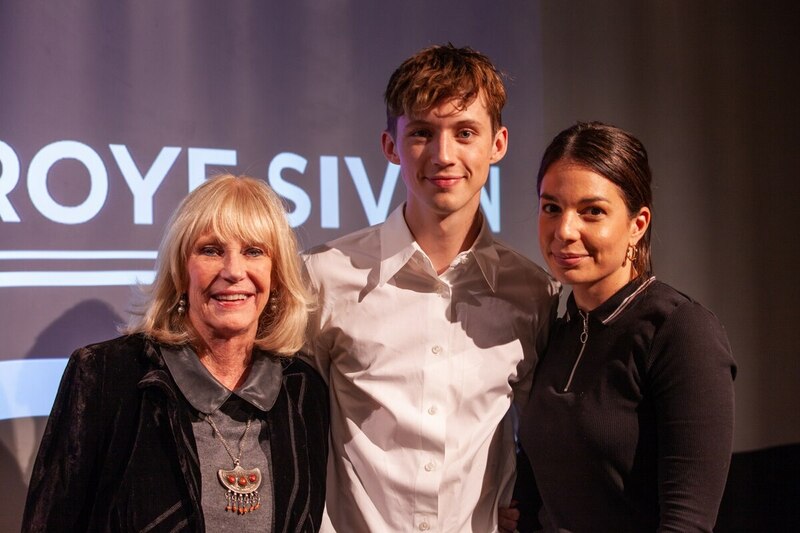 On Monday evening, Troye Sivan visited Associate Professor Mary Murphy's Entertainment, Business, and Media in Today's Society lecture to discuss his career and answer questions from students. He was accompanied by his manager, Dani Russin, who provided additional insight into the music industry. Sivan's career began by posting vlogs, covers and original music on Youtube. His origins on the internet allowed him to connect directly with his audience, but he has since shifted to other social media platforms. He now has almost nine million followers on Twitter and nearly ten million on Instagram. His music was recently featured in the film "Boy Erased" and his latest music video featured pop star, Ariana Grande. Although social media is a large part of his life and career, he wanted to keep the event photo, audio, and video free. 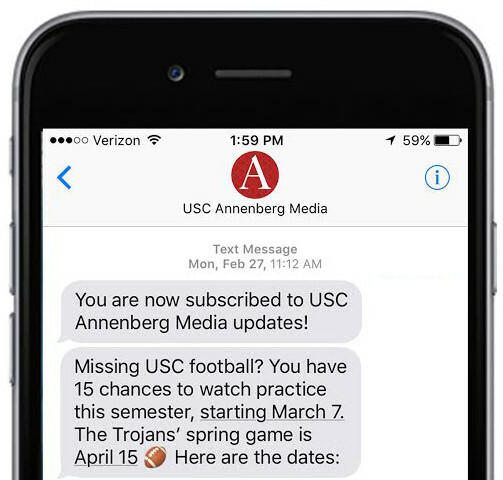 "He really wants this to be a class experience," said Murphy, "He wants to be able to feel like he can really talk to you." Sivan grew up with a strong sense of family, and, as his career took him around the globe, he still maintained a connection to his family and home. “If it were all to go away, I would be okay because I have something as real and grounded as a family that gets together for Shabbat dinner,” said Sivan. A sense of community and belonging seems to be a driving force for Sivan. In his formative years, the internet provided a pathway for him to enter the LGBTQ community. "I didn't know any gay people in real life and seeing people who had come out and shared their experience online made me feel like I had a community even though in real life I didn't," said Sivan. Sivan now uses his social media presence and music to create not only a name for himself but a community of his own. His vulnerability paints a picture of his personality for the audience. The intimate session with Sivan also revealed his dedication to his fans. When speaking about the meaning of his song "Heaven," he said that its personal meaning shifted from being about himself to being about his audience. "That was a song I wrote about coming out and all the questions you have around coming out," he said. "The meaning for me now is so much more about everyone else." When the conversation opened up for questions, many of the attendees expressed their love and gratitude for his work. His interactions with the class and audience felt very genuine. They shared compliments and some audience members recalled their first interaction with the pop star, sparking a deeper connection between the two that went beyond phone and computer screens. One audience member even flew from San Francisco to attend. His love for connecting with his fan-base and his genuine nature is part of what makes Sivan a successful artist. According to Russin, social media is a two-way street that impacts both the artist and their audience. "Social media is the great equalizer," Russin said. "On the flip side, it really holds people accountable to a lot deeper of a level than they used to, there's no hiding." Internet and social media is the new revenue of expression for musicians and creatives that they should take advantage of, said Sivan. "The internet is the craziest tool in the world," he said. "Just start making stuff. Do it because you love it and hopefully someone will react."